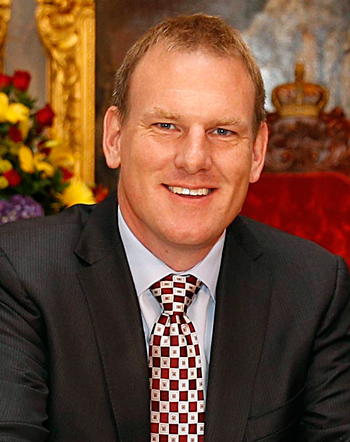 The Honourable Andrew Younger is an internationally recognized specialist in public and government affairs, corporate responsibility, and media. While he works across a wide range of industries, he has particular expertise in the following sectors: global energy and environmental issues, international development issues, and international trade and collaboration. Using his training in science, journalism, and political science, as well as his experience, Andrew has led private sector and government projects on six continents. He’s an in-demand keynote speaker and panelist at conferences and meetings. He’s spoken at conferences in many areas of the world including Asia, Europe, South America, and North America. He’s also a regular guest and commentator on major media programs. Andrew served in a variety of cabinet portfolios in the Government of Nova Scotia, Canada. These included Minister of Energy, Minister of the Environment, Minister of Communications Nova Scotia, and Minister Responsible for Part 1 of the Gaming Control Act. He also served as a Municipal Councillor in the Halifax Regional Municipality, Canada where he chaired the municipal Energy and Environment Committee and the Cultural Advisory Committee. For seven years Andrew served on the Canada-US Relations, Energy and Environment, Strategic Planning, and Executive committees of the Council of State Governments. Andrew has also won three journalism awards, including an Atlantic Journalism Award In 2016 he was voted as one of the two top legislators in Nova Scotia and in 2017 was named by the Nova Scotia Premier as a permanent, honourary, member of the province’s cabinet. Andrew currently serves on a number of local and international boards. He is the author of Ribbon of Water: The Shubenacadie Waterway From the Air and producer/director of many television programs and documentaries. He is the president of the Whalesong Group. © 2019 Whalesong Group and Andrew Younger. No copying photographs, content, or other information from this website is permitted without express written permission.